We have put together a range of discounted Garden folly kits for our folly customers. The garden folly kits may be altered in any way and we are always listing new garden folly designs in other sections. Most customers prefer to arrange for their own local bricks or stone to be used, but we can supply them when required. Grden folly arch/Follies arch/ Stone Gothic garden folly arch Deciding on the garden folly arch is a good starting point for your garden folly project. 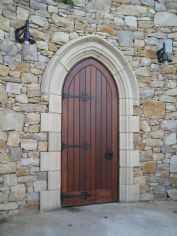 We have the most popular decorative arch and arches that can be fitted with doors for the sectret garden area. We also have a new hexagonal arch in the making for a customer who wishes to link two arches together. 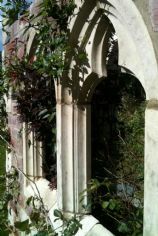 We specialise in Gothic garden folly Gothic windows and Gothic windows for the home. As with most of our garden folly Gothic windows, they may be glazed, and the new Priory Gothic window range was the result of a restoration project that we carried out on an original 300 years old Gothic chapel. Our new antique colour is now applied as standard. Here you will find all the interesting bits and pieces essential for a successful folly project. All of our products are now produced using our new antique finish as standard. Should you not find what you are looking for we can produce almost anything architectural, please enquire should you have something in mind. The Gothic Folly. Her you will find everything you need to build a full folly or purchase individual items. Everything from each category has been placed into this one for an easy serch. This fire surround, designed by ourselves and cast using our crushed sandstone is a unique item for those people looking for the Gothic interior. It now comes compete with the hearth. We designed this temple for one of our customers. Three months work went into the intricate detail of this piece. Complete with the glass fibre dome. We also offer the columns and column base individually. 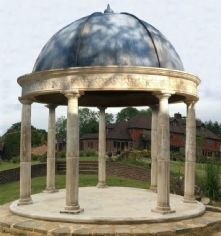 We offer a specialist service to customers wishing to create the garden they could only dream of, but not all our products are designed with gardens in mind. 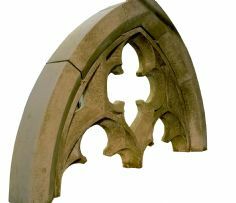 Our Gothic arches and windows have frequently been used on buildings. We can create unique designs on request or reproduce any missing pieces from a building as part of a restoration project. 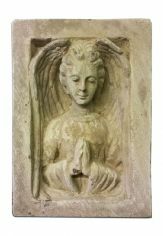 Gothic windows / Gothic arches and a variety of other decorative elements of stone carving have been reproduced and personalised by the artist to give you the opportunity to provide a stunning focal point for your home or garden.